Acreman School & Community Playground: ARRIVE AND DRIVE! Well, thanks to Ford Motor Company of Canada, it IS just that simple! Just arrive and drive! 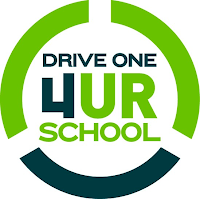 We have been approved for their Drive One 4 Ur School Program. For every test drive, Ford will donate $20 up to $6000) to our Playground Project! It will not cost you a thing...just give of your time! We need 300 households represented in order to get the most of this offer. Help us do it! Call family, friends, and co-workers and let them know about this amazing opportunity!